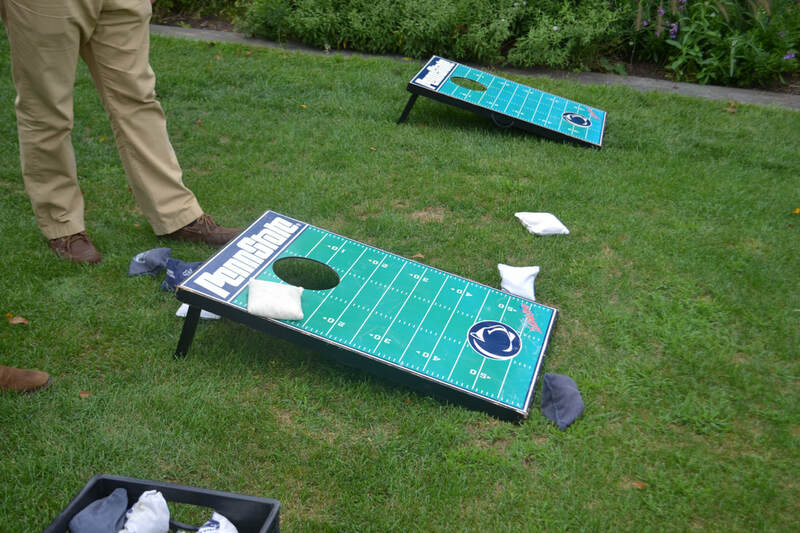 These events aim to provide seniors with unique experiences to get more involved with the Alumni Association and show off your Penn State pride as a senior! This event is a welcome back brunch to kick-off the Senior Year Experience (SYE). 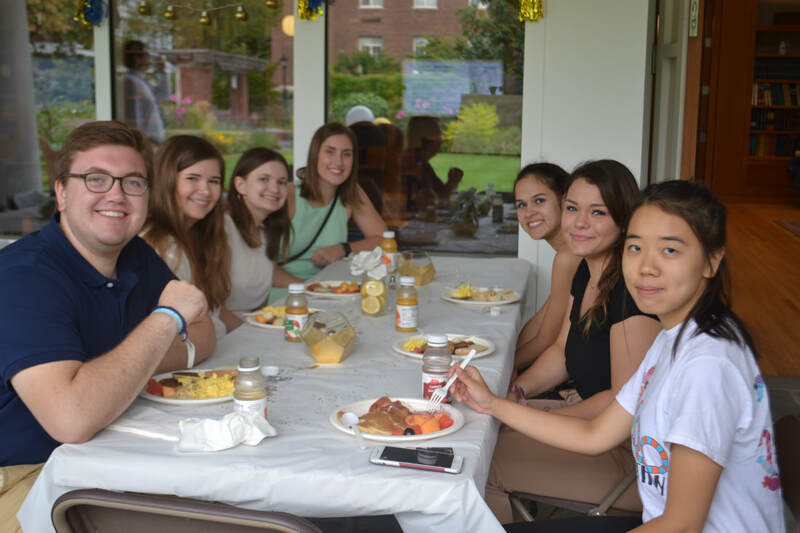 Seniors are invited to enjoy brunch while learning about the upcoming events for their SYE while simultaneously learning about how to make the most out of the membership benefits during their senior year. Senior members hear from the PSAA CEO, their student body president, and the Coordinator of Young Alumni programs. A toast to kick-off SYE is led by the CEO. Last Lecture is a speaker panel made up of a student, a faculty member, and an alum. ​The members of the panel are very well-known in the community and BWS senior members will get exclusive access to these individuals. The panel is themed on life advice and how Penn State has helped them throughout the years. The December Grad Reception is for BWS members graduating in the fall. It is a send-off to help connect the newest class of alumni with chapters in their area and to educate them on how to make the most out of their gratis year membership. It is a casual event where lunch will be served. ​We will offer professional cap and gown photos for those who want to participate. Celebrate your time on campus with the Blue & White Society and the Penn State Alumni Association with FREE lunch, photo ops, and Class of 2019 goodies! Students are reminded of the ways their PSAA membership can help them as they prepare to turn the tassel. Providing supplies to participate in Blue & White Society’s Grad Cap Decorating Contest. ​ Light refreshments will be provided and students will also be educated on the benefits of membership specific to young alumni. A professional photographer will be taking pictures of seniors in their caps and gowns at the Hintz. We will be collecting non-PSU email addresses to send the photos to in addition to advertising the life-time email forwarding option. A celebratory lunch that welcomes seniors to their new home when they are back at Penn State. There will also be information on how to connect with chapters, AIGs, etc. and the unique benefits each group offers. 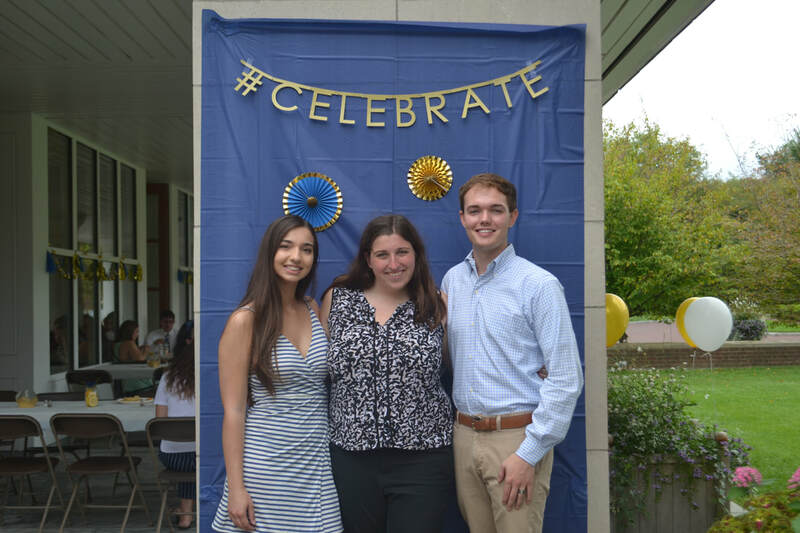 Senior Send-Off is hosted annually by the Lion Ambassadors. ​ can be set up for success before they leave campus and join the alumni family. Success After State is a career fair and workshop cohosted by Alumni Career Services and Career Services (Student Affairs). ​Companies recruit and provide expertise to graduating seniors. Last Photo is a group picture of the senior class on Beaver Stadium Field in partnership with athletics. Below are some highlights from our Cheers to Senior Year Brunch event, which was our first senior event of the year! Stay tuned for more events and activities for all you seniors out there!